Most of the time, you know when it’s time to trim your hedges. Branches spew out at random, leaves are jutting into the sidewalk or blocking the view from your living room window—they’re completely out of shape. Try as you might, no matter how many times you trim your hedges, they’ll still grow to be unruly in a matter of weeks. Fortunately, hedge trimming is a quick process, and it leaves your landscape looking worlds better. While most hedges can be trimmed nearly year round (especially if it’s minimal, shallow trimming), it’s best to avoid pruning during late fall. 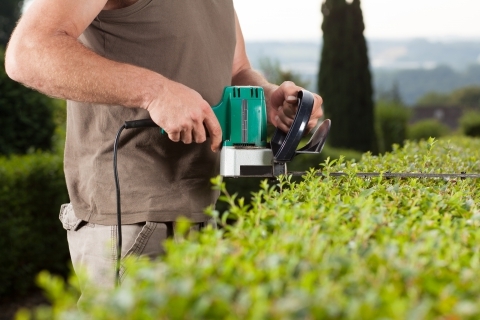 When we’re performing a more thorough trim, we recommend winter or early spring while the hedge is dormant. During these seasons, it’s easier to prune branches, and the plant is less susceptible to damage. Plus, when you opt to have your hedges trimmed in the winter or spring, they’ll grow more healthily throughout the warmer months. At Lumber Jack & Jill, we bring over a decade of experience to our tree care services. We’re experienced, International Society of Arboriculture certified arborists—which means that we know how to care for your plants. We know how much you care about the beauty of your landscape. That’s why we do our utmost to ensure that every leaf is in line, and every tree and bush on your property is healthy. For superior tree care services and hedge trimming, give our crew a call.